When it comes to roofing materials (the products that are applied to your roof), it can be difficult to decipher the best option for your building. Our estimators are well versed in multiple types of roofing materials, so we can help you to hone in on the best roof system given your climate, roof structure, and budget. A popular option for low pitch or flat roofs is a single ply membrane system. Two common single-ply membranes, polyvinyl chloride (PVC) and thermoplastic polyolefin (TPO) are available in 40 to 80 mils. 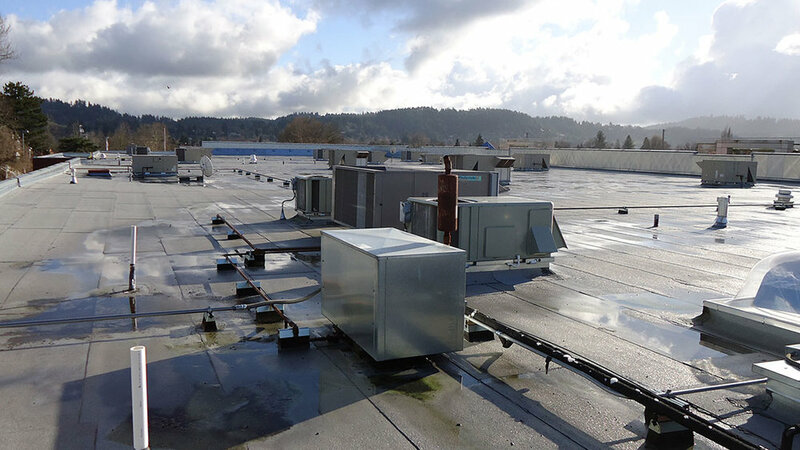 PVC's and TPO's come mechanically fastened or fully adhered to the roof deck with seams heat welded together. PVC and TPO are extremely reflective, lightweight, and easy to repair, with most roofs meeting Energy Star requirements. Metal is becoming a popular roofing material option because it is durable, energy efficient, virtually maintenance-free, nonflammable, long lasting, and recyclable. Metal panels are available in galvanized steel with a high-performance enamel paint finish, copper, or corrosion resistant alloys. Metal is now available for steep-sloped roofs as well. For roofs with slopes of 4/12 or more the laminated shingle, also called architectural or dimensional shingle is the most popular option. Laminated shingles are designed to resemble wood or slate. The laminated shingles consist of a fiberglass core coated with mineral aggregate for added color and texture. The fastening method for both employs an adhesive backing strip and nails. Laminate shingles vary from 30 years to "lifetime" warranties. 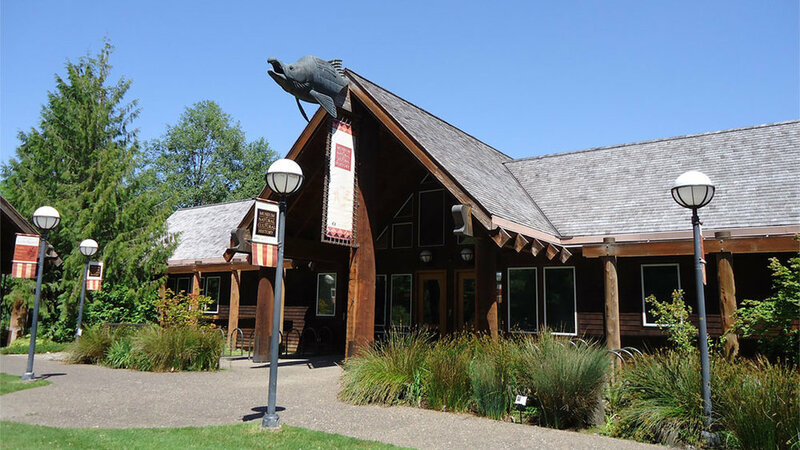 In Oregon, Western Red Cedar is the most common wood used to create shakes and shingles. Wood shakes are irregular and rough textured whereas wood shingles are cut to a specific size and smooth finished. Both are available in a variety of lengths, widths, and grades of wood. Wood shingles and shakes can be treated for fire resistance and extended life at an additional cost. Tile and slate have the best record of performance and longevity compared to other roofing systems. Tile is created from clay or concrete and is available in numerous styles and colors. Slate is an organic material mined all over the world. Since tile and slate are heavy materials, you must have a reinforced roof structure to support them. Built up roof (BUR) membrane, often called "hot asphalt" or "tar and gravel" are continuous and semi-flexible roof systems made of multiple layers of felts applied with alternate layers of bitumen and then surfaced with mineral aggregate to protect the final layer from drying out.